Iran’s President Hassan Rouhani has been featured in an online music video, entitled Nowsafar (New Journey). 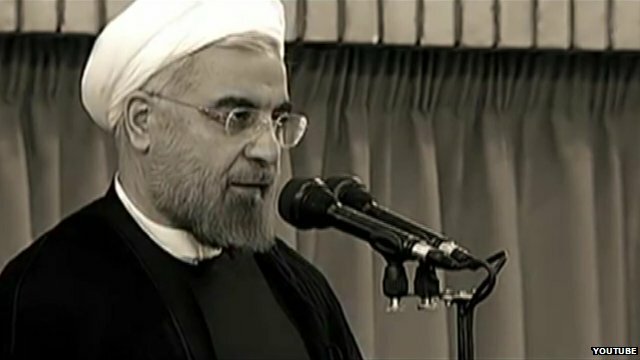 It shows Mr Rouhani delivering a speech at his endorsement ceremony in Tehran on 3 August set to music, with Iranians singing or speaking his words. Shot in black and white, it bears a close resemblance to the 2008 Yes We Can video, which featured one of Barack Obama’s presidential campaign speeches. It comes 100 days since Mr Rouhani appointed his cabinet. The lyrics of the song are based on Mr Rouhani’s first speech as president following his endorsement by Supreme Leader Ayatollah Ali Khamenei. It begins: “Let us give all Iranians who love their country the opportunity to serve it. Let us allow elites to serve the nation. Let us allow the hearts to be cleansed from hatred. The video features Iranian media personalities and men, women and children, with some of the cast using sign language. The video was produced by Hoseyn Dehbashi who was also responsible for Mr Rouhani’s election campaign videos, according to a translation of the text posted on the video-sharing website Aparat.com. 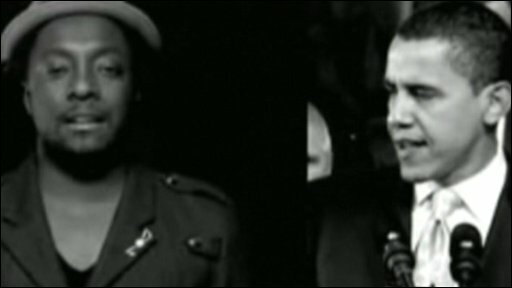 In 2008, Black-Eyed Peas rapper will.i.am led an all-star cast in a music video inspired by a speech Barack Obama gave after the New Hampshire primary, before he was elected as US president. That video garnered millions of hits on YouTube. A link to the video was tweeted from Mr Rouhani’s unofficial Twitter accounts: @Rouhani_ir in Persian and @HassanRouhani in English. Mr Rouhani, whose campaign slogan was “moderation and wisdom”, has had a presence on Twitter since running for election. But there has been some confusion over who is actually operating Mr Rouhani’s Twitter account. The president’s Twitter handle has not been authenticated by Twitter, which puts a blue tick on profiles it confirms are genuine. His office has told reporters that the account is controlled by those close to the president, and that he does not personally author the tweets.